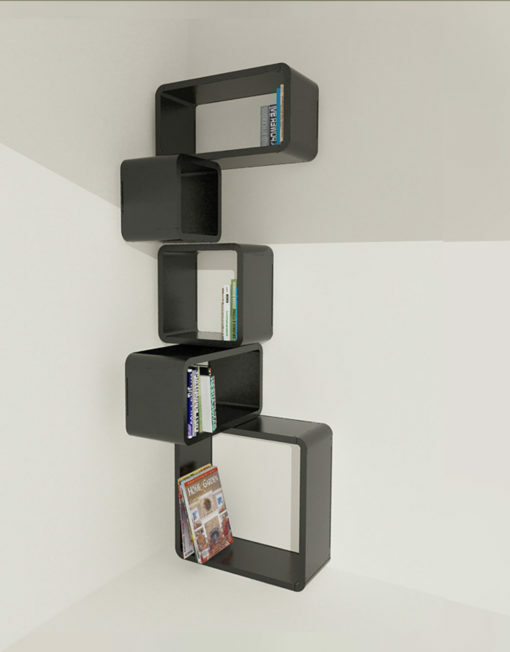 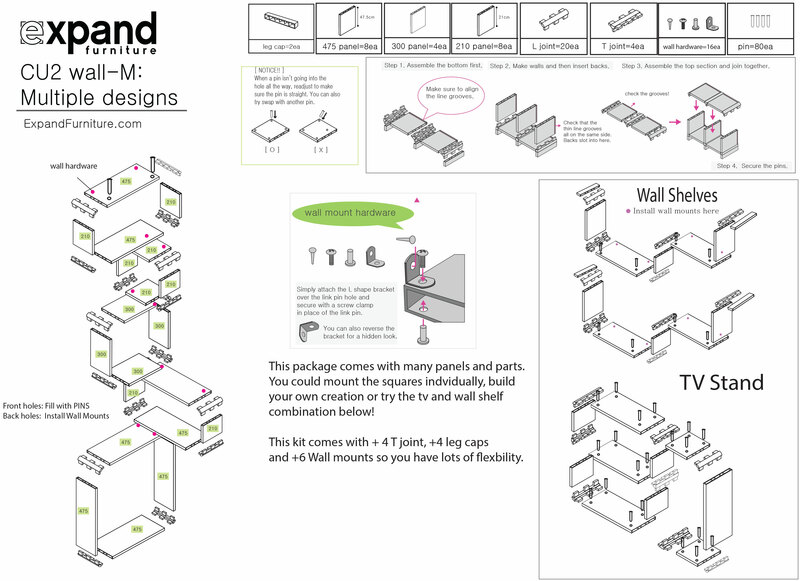 The “M” modular vertical storage corner shelf is made up of 5 differently sized cubes “piled” atop each other. 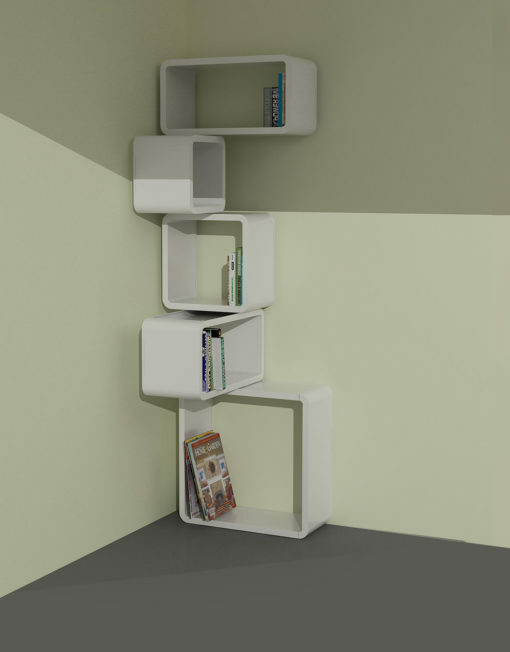 By alternately stacking the cubes to the left and the right, it creates a fantastic and unique corner storage solution for the modern home. 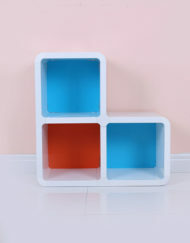 Or you can choose to mount the cubes individually as you like or use them as storage on the ground. 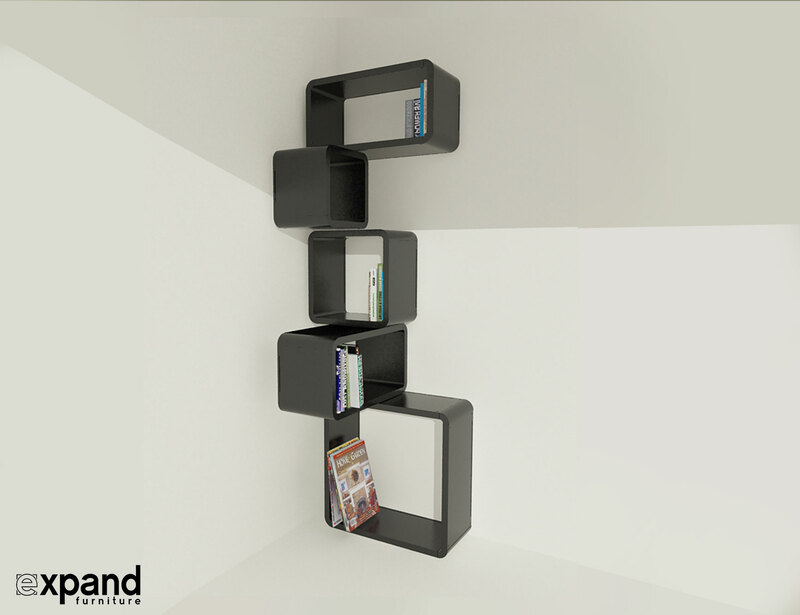 The decorative shelf/cube design is available in classic black and white finish. 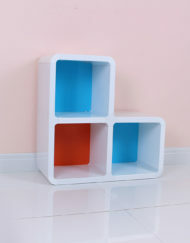 To spice up this unique number even more, there is an option for colored walls on the inside of the cubes. 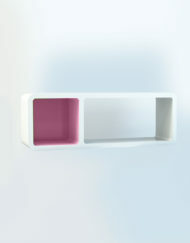 The inside color walls are currently available in vibrant pink, sky blue, bright orange, and a fresh green and make for an interesting eye catching furniture piece. 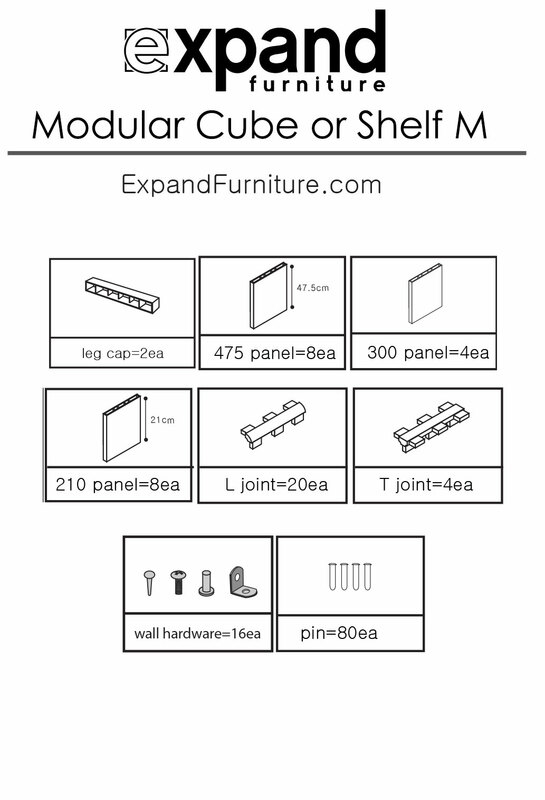 The M looks complex in its design, but it is as easy to put together as any of our modular shelving with its simple snap together system. 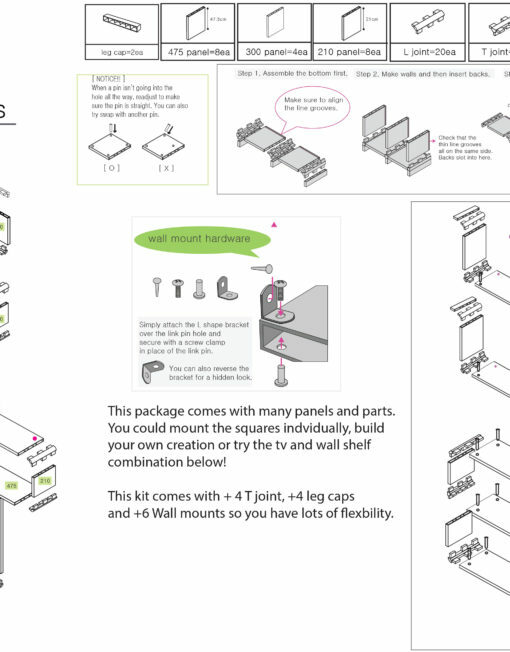 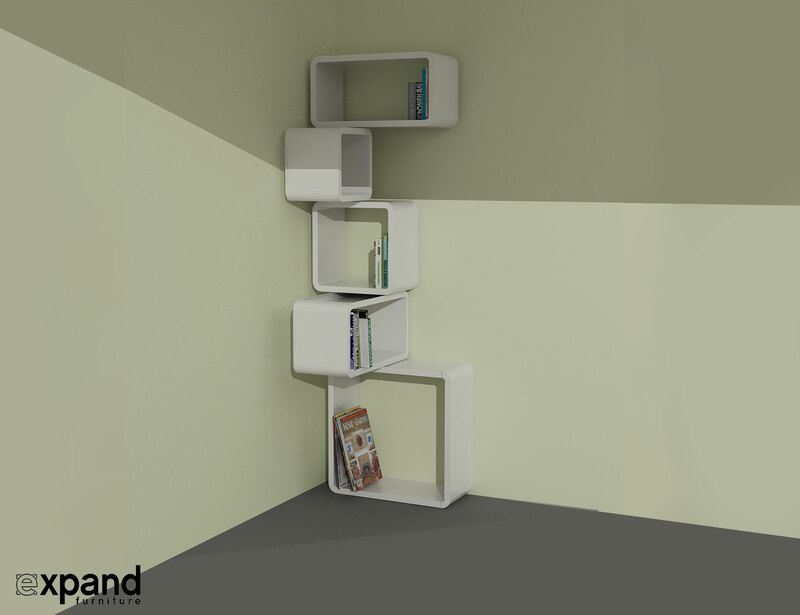 Because this decorative corner cube shelf has more parts than most of our other designs, it allows for a larger variety of assembly options and makes a great creative starter pack. 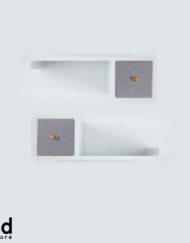 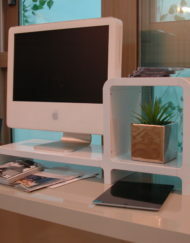 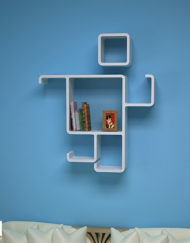 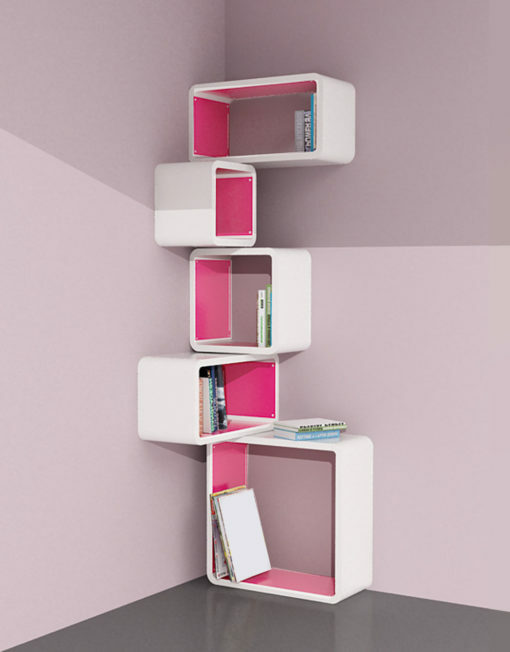 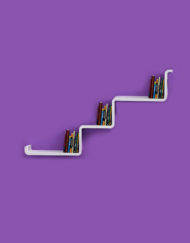 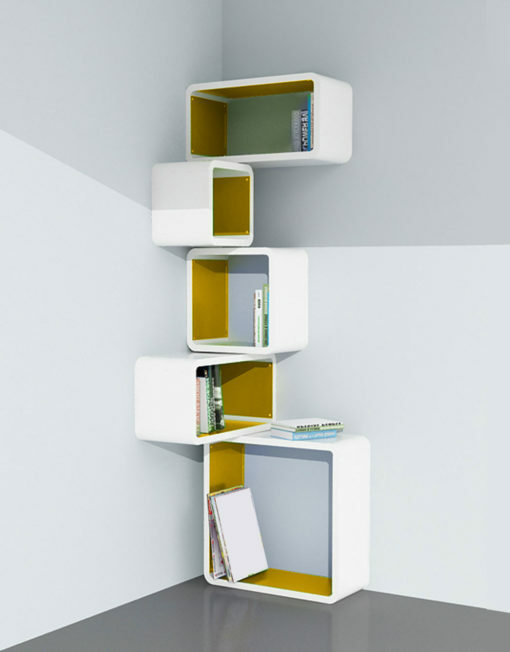 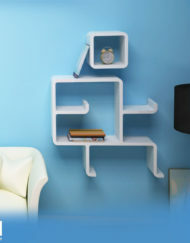 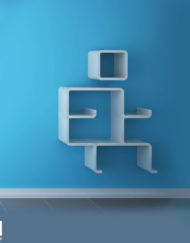 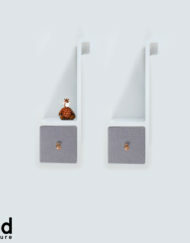 Anything but boring­ that is the M-corner cubicle storage shelf from Expand. 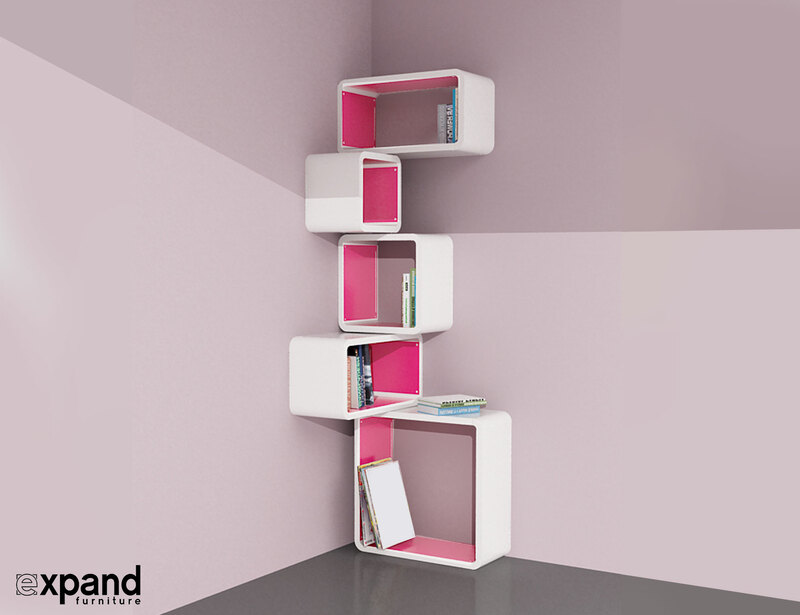 Maximal function and an exhilarating design, this twisted modular shelf is sure to excite with plenty of storage space and visual appeal. 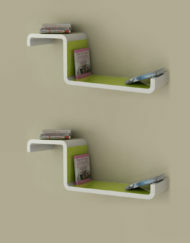 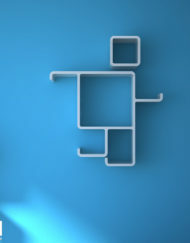 The shelf is made of non­toxic plastic that is not only easy to put together, but also easy to clean. 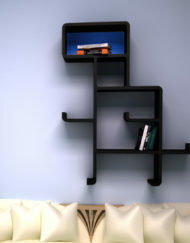 The white and black color options make it a great for your home, too. 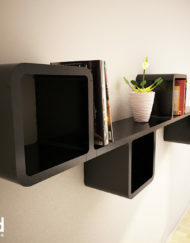 You can use it in the living room, as a stunning focal point, in the study or library to display art books and novels, or in your teens room with the color panels added to bring out the creative genius. 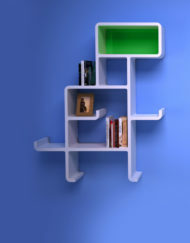 It is astonishing how the character of the shelf system changes with those decorative pops of colors. 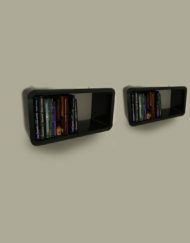 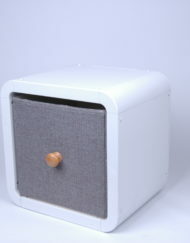 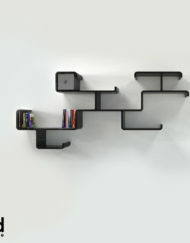 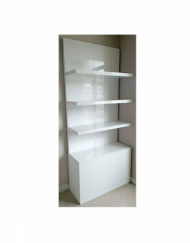 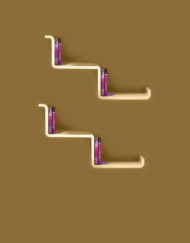 The is a bigger shelf design and can be deconstructed into most of other smaller designs such as the 2147 or the 2121. 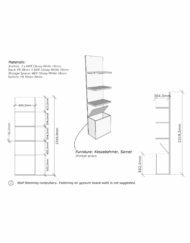 For example it can alternatively be assembled into many small shelves, separate cubes or combinations of the two… you decide what you want to create. 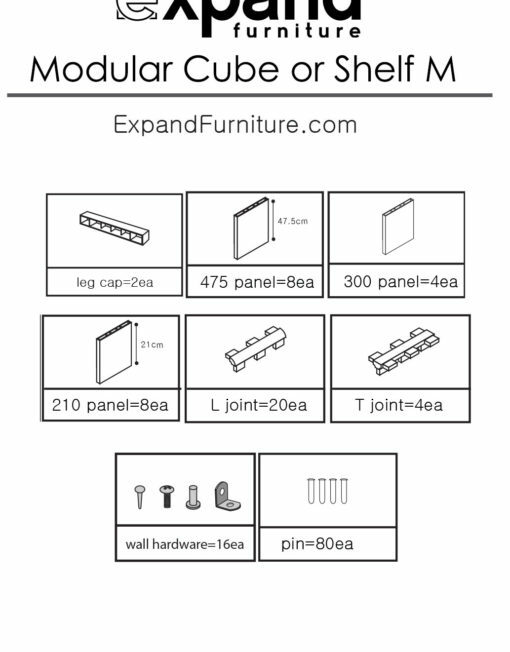 This system has an additional 4 leg caps, 4 T joints and 6 wall mounts, offering you almost endless possibilities as to what modular option you want to create and where you want the nifty storage system to be. 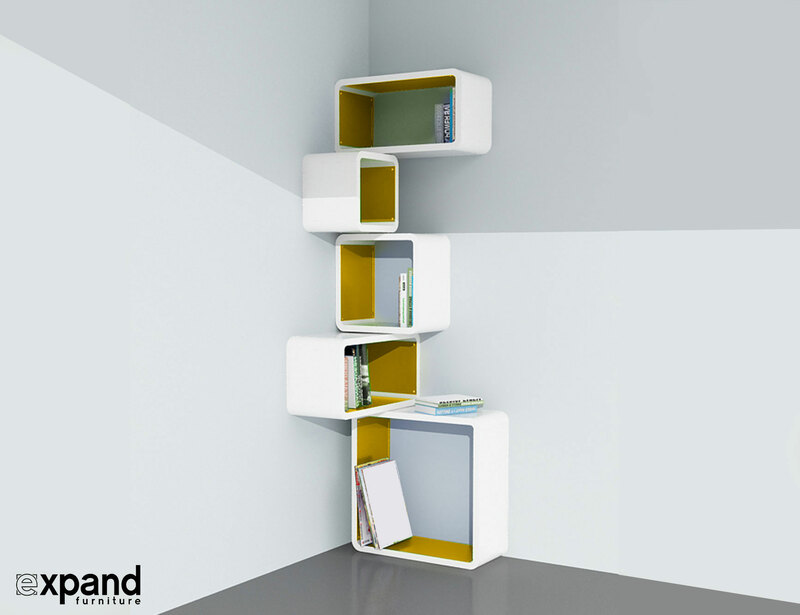 For smaller storage options check out Land, Jump or Kong. 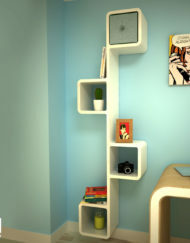 As displayed the M – modern modular storage stands at 180.5 cm(71in)tall and 55.5 cm (21.9 in wide).